Goodbye Karl :( | .liveit.loveit.blogit. Yesterday I learned a valuable lesson. When something is too good to be true on craigslist… Tell the seller you have a truck. Old barnwood shelves from southern Minnesota that I’ve deconstructed and am going to use to DIY the worlds most amazing desk. An old folding barnwood chair from the same seller. Free wood pallets for a TBD project (probably a patio table or headboard). Awesome mid-century style lamps. A little wooden end table for my office that needs to be painted white. And an awesome barter for rubberwood coffee, sofa, and end tables. So, it’s going well. This stuff is all awesome, and I’m going to introduce you to it as we move in and start decorating. But I first need to tell you what happened yesterday. Warning: it’s sad. Imagine you are trolling the free section on craigslist when you see an ad for a free sofabed and two armchairs. If you are anything like me, you’ll click through skeptically expecting the world’s ugliest couch. Since the quality of the free stuff on craigslist is generally “hit-or-miss-and-mostly-miss”. 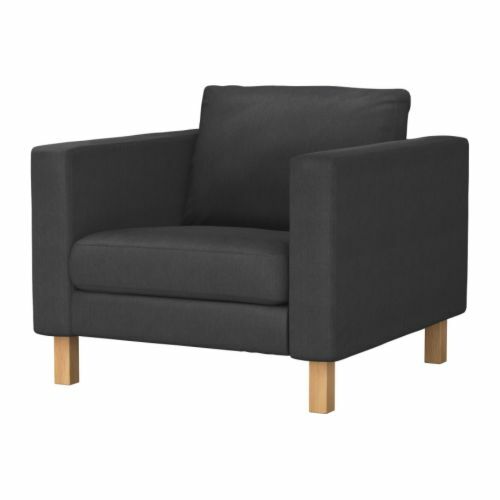 Instead of an ugly granny couch (no offence meant to the grannys out there), I was met with a Karlstad sofa bed and 2 Karlstad armchairs in sivik dark gray. If you aren’t familiar with the family of Karl, head over to my all time favourite home blog and meet his older and bigger brother, Karl the Sectional. 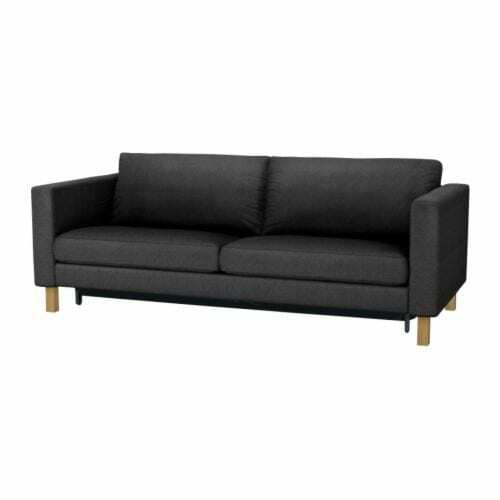 Karl is the only couch from Ikea that I’ll consider. I love Karl so much that everyday one of my craigslist searches is for “Karlstad”. His 2 arm chair brothers look like this. Karl the Sofa Bed came from a smoke-free, pet-free, and bug-free home. He cost $0 because he needed to be gone from that home yesterday evening no “ifs, ands, or buts” about it. Unfortunately, we hung up the phone with the seller to track down a truck. And in the 5 minutes it took us to do that, Karl was gone. My heart was broken, and every Scottish bone in my body was reeling. But. I did learn a very valuable craigslist lesson from this experience: Always tell the seller you have a truck. Even if you don’t. Someone will take $40 to come move your free couch for you. I promise.